Mulch is a covering placed over the soil around your tomatoes. It's key step to take in effective tomato care! It keeps moisture in. A layer spread over bare soil allows the area to soak up more water. The outer layer dries faster than the soil below it. That reduces the rate of evaporation from the soil, plus it lets the soil to retain moisture for your tomato plants. It regulates soil temperature. In hot summer months, a layer helps keep the underlying soil cooler. In the fall when temperatures fall off, the layer around your tomato plants keep roots warm. It smothers weeds. Fewer weeds sprout because seeds are buried beneath the surface. And the weeds that sprout are weak and easy to pull. It prevents disease and fruit rot. A layer keeps water from splashing on the soil, absorbing bacteria and fungi, and bouncing up onto your plants. Likewise, when a tomato falls onto a layered area, it is less likely to rot quickly than if it falls onto soil. It improves the soil. Organic varieties can be turned into the soil at the end of the season. Wait until the soil has warmed – about 3-5 weeks after setting plants in the garden. Tomatoes like heat. The soil needs to heat up as much as possible before adding layers. Too early in the season, the ground is still cool (especially in northern regions or where the temperatures dip at night). Mulching traps in the cold. Do it early and you'll also delay blossoms, which delays fruit development, which leads to a later harvest. Bottom line: wait or you’ll be waiting extra long to eat fresh tomatoes. Organic varieties include shredded leaves, straw, grass clippings, compost, newspaper, biodegradable weed mats, shredded hardwood, sawdust, and wood chips. Organic mulch is good for the soil. As it decomposes, it adds organic material to your garden. Most are cheap or free. Take care to use grass clippings only when the yard has not been chemically treated. Inorganic varieties for tomatoes include plastics and fabrics, such as Recycled Plastic Weedblock or various kinds of sheet plastics. They are sold in rolls at home improvement and garden centers or online. Compare types to see what will work best for you. They each have advantages and disadvantages for your gardening situation. Read weed mat reviews for more information. Pull back the layer about 1-2” from around the tomato stem, forming a small well around the base of the plant. This prevents compaction around the stem, which could lead to stem rot. The well creates a natural dish to capture water for your plant. If you have plenty of extra, apply it in the rows between your tomatoes to keep weeds down. Water your tomato plants. Make sure the moisture has penetrated by testing it with your finger. 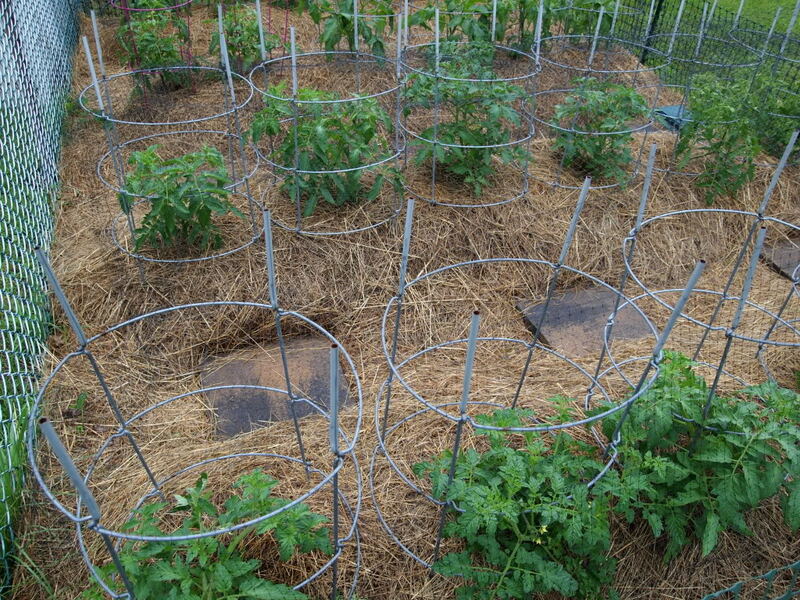 Have a favorite mulch for growing tomatoes? One that works well for you? Tell us what you use to mulch your tomatoes why you like it. 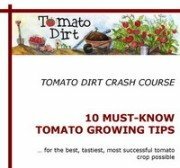 Other gardeners want to know so can grow great tomatoes, too! Your story will appear on a Web page exactly the way you enter it here. You can wrap a word in square brackets to make it appear bold. For example [my story] would show as my story on the Web page containing your tip. I use the free stuff! Review: red plastic mulch - does it really make a difference?